You are here: Home » Featured » The Human Body and the Death of Normalcy? 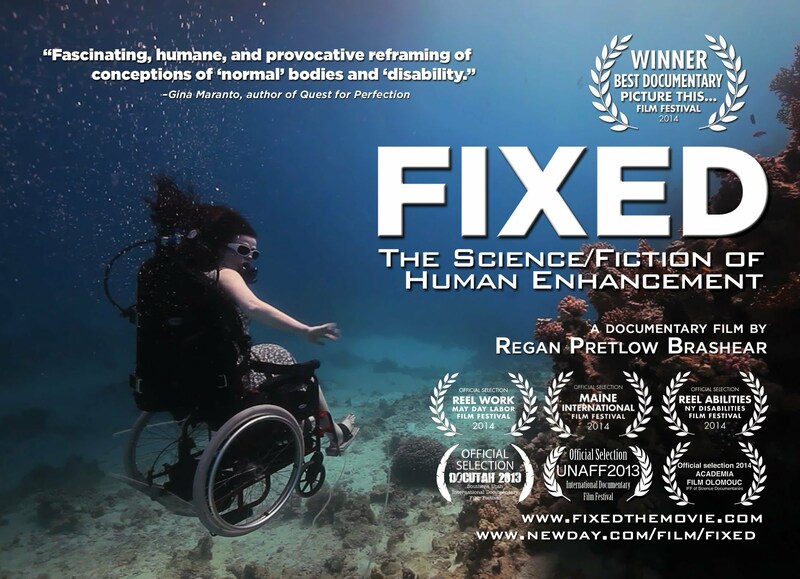 Regan Brashear has done us all a favor by directing and producing the documentary film Fixed: The Science/Fiction of Human Enhancement. Fixed, a New Day Digital film, was released in 2013, and I’m happy to have heard about it and to have been given a chance to watch it. I confess, on watching the trailer, reading some buzz on the film, and seeing who was interviewed in it, I was skeptical. 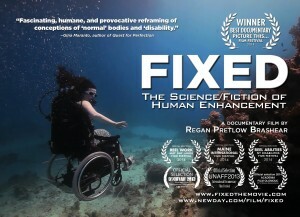 I assumed before watching the film that it would be an endorsement of the transhumanist movement, which wants freedom to enhance human beings without limits, to reject suffering and disability, and to move the human race beyond “normal” through human enhancements. But I was wrong! Brashear’s treatment of the subject matter is refreshingly thoughtful as she weaves between everyday people (and children), people with disabilities, experts in the technology development, along with experts in science, ethics, and philosophy. There are plenty of man-on-the-street interviews too, with people wanting chips in their brains, cameras in their eyes, and super memory powers. The list of all we would want is seemingly endless because, as Fixed superbly points out, we are obsessed with certain abilities, we are never content with who and what we are, and our values are misplaced in pursuit of being better than well. As Gregor Wolbring, a biochemist, ability studies scholar, and disabled man who refers to himself as “a variation” reminds us in the film, we will never be content and there will be no end point. Are these farfetched ideas and technologies that will never come to fruition? Are human enhancements, both physical and cognitive, simply the natural progression of Botox, cosmetic surgery, and our attempts to compensate for the effects of disability? Will baby-boomers demand these enhancements as they age and as their health begins to fail? Will people in the workplace need enhancements simply to remain competitive? These are the kinds of significant questions raised by this film. These questions need to be answered sooner rather than later as it appears these technologies are rapidly advancing. While many of these technologies offer wonderful benefits for disabled people, these questions are important to consider as they touch on the issue of what it means to be human, and therefore who we value and why (or why not).